Home Editorial Why Aren’t Second Amendment Advocates Decrying Police Killings Of Black Veterans? Why Aren’t Second Amendment Advocates Decrying Police Killings Of Black Veterans? 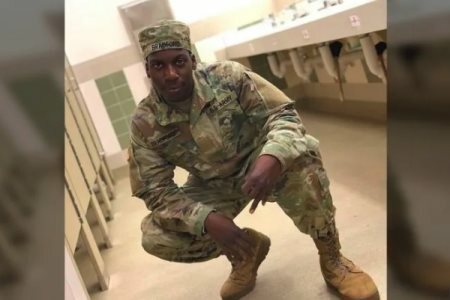 AFRICANGLOBE – On Thursday, November 22, Black veteran Emantic Bradford Jr., was killed by police in Hoover, Alabama as he apparently tried to protect people from getting hurt after a gunman opened fire inside the Riverchase Galleria mall. That Thanksgiving night, shots rang out inside the Riverchase Galleria mall, sending holiday shoppers fleeing outside. However, Emantic Bradford—likely because of his military training—grabbed his gun and decided to protect people. Unfortunately the concept of a Black man being a protector is anathema in America, particularly by police who make a living seeing Blacks as criminal menaces. The police killing of this legally-armed Black man isn’t surprising. And in typical fashion we saw the usual cop cover-up story being peddled by police after this Black veteran was killed. Initially, police claimed Bradford was the shooter and praised the unknown trigger-happy police thug who killed him. But when that fictitious narrative became unsustainable, police then admitted the shooting suspect was still at large. Last Friday, suspected shooter 20-year-old Erron Brown was arrested in Atlanta. The fact that police always reflexively issue false statements to protect other police who kill innocent Blacks is deserving of serious scrutiny. 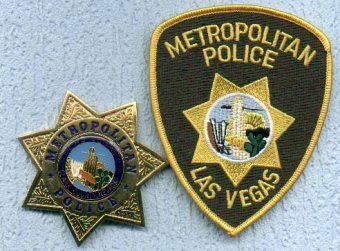 Regular citizens who make false statements to police—18 U.S.C. 1001 explains this—can be prosecuted for doing so. Why isn’t this law adhered to when we’re talking about police who routinely lie, especially to cover-up cop crimes against Black Americans? Police can no longer be allowed to investigate themselves—with the aid of corrupt prosecutors. In the last few years, we’ve seen several prosecutors subvert justice to exonerate cops who have taken the lives of Black people. Recent victims include Tamir Rice, Eric Garner, and Michael Brown to name a few. The names of crooked prosecutors like: Tim McGinty, Dan Donovan, and Bob McCulloch come to mind here. Poetic justice has seen to it that these three men have all been given their political pink-slips, by voters, and are now removed from public office. A couple years ago, we only had a few Black state attorneys general across America. In this past election, several Blacks have been elected attorneys general including: Dr. Aaron Ford, in Nevada; Kwame Raoul, in Illinois; former Rep. Keith Ellison, in Minnesota and Letitia James in New York. In St Louis County, Wesley Bell achieved a major upset unseating McCulloch. And in Baltimore, Marilyn Mosby—who bravely prosecuted the killers of Freddie Gray—was reelected state attorney. We must elect more Black prosecutors and judges, and demand accountability from them. Would police have had the same “heightened sense of threat” if Bradford was a White man? However, even after this story revision, police understood the use of the word “brandishing” was problematic. They next changed their statement to say, “Mr. Bradford had a gun in his hand as police officers responded.” How does that justify this trigger-happy killing by racist policing? We should ask police here this: isn’t Alabama an “open carry” state, where citizens are also allowed to carry a gun without a gun permit—which is only necessary for driving? That being the case, Mr. Bradford’s possession of a gun is irrelevant since he was breaking no laws. Apparently this Black veteran’s Second Amendment’s rights doesn’t mean much. So where are all the Second Amendment activists? Where is the NRA and the always vocal Wayne LaPierre? Why haven’t we heard speeches about the Second Amendment rights of this dead Black soldier? The silence of these Second Amendment frauds, when it comes to legal Black gun owners being killed by police, tells us all we need to know. After Philando Castile, 32, was killed, we heard not a peep from these pretenders who are always talking about the “sanctity of the Second Amendment.” Castile was a legal gun owner who got killed because he was driving while Black, in Minnesota, and had a gun to boot. Black Americans who own firearms, should always know this: in any tense situation, involving police, Blacks will most likely be fired upon by police—regardless of the circumstances. History also tells us this: The Second Amendment, which was adopted on Dec. 15, 1791, was never meant to be utilized by Black Americans. How could it be when it was expressly enacted by the White plantation gentry to militarize the common White citizenry into cooperation in the continued oppression of enslaved Africans who were producing massive profits for wealthy Whites? The Second Amendment was enacted during the violent eruption of the Haitian Revolution, to terrorize and subjugate enslaved Africans, in America—and prevent them from following the example of the enslaved Africans in Haiti, who gained liberation by bloody revolution. Gun “rights” were given to Whites with the major stipulation that: they had to join state militias. These state militias are the very same Slave Patrols that morphed into America indigenous police forces. The killing of Emantic Bradford brings to mind the Nov. 11 killing of 26-year-old security-guard Jemel Roberson in Illinois. Roberson was shot dead as he was apprehending the gunman who opened fired inside Manny’s Blue Room Lounge, where Roberson worked. Midlothian Police Chief Daniel Delaney—who first blamed Roberson for his own death—then called Roberson “a brave man” who was killed in “a blue on blue friendly fire incident.” Chief Delaney did so after it became clear Roberson was a “good guy,” who aspired to be a cop. Last June 29, 45-year-old Black Navy veteran Jason Washington was shot dead by Portland State University police Officers James Dewey and Shawn McKenzie. According to several witnesses, Washington had confiscated a gun from his friend, fellow veteran Jeremy Wilkinson and had tried to stop Wilkinson from fighting with four men hurling racist slurs outside a bar. As Wilkinson fought with one of the men, Washington tried to protect him from the other men—but fell down with Wilkinson’s gun. After he got up, Washington was shot in the hip, chest, cheek, ear—and back, by police. Remember: Oregon is also an “open carry” state. In recent years, we’ve heard a lot of bloviating bull about “respecting the military.” President Donald Trump has engaged in attacks—to feed racist red meat to right-wing Republican voters—against Black NFL players, who were inspired by Colin Kaepernick to fight against institutional racism, including in policing. Why hasn’t this White House uttered anything about the policing killings of innocent Black veterans like Jason Washington or Emantic Bradford? Why haven’t we heard anything from America’s conservatives, and Republicans, who are always talking about their supposed love and respect for veterans? Moreover, since many of these same pretend-patriots are also Second Amendment advocates, why aren’t they speaking out against the killing of Black military veterans by the hands of police? Of course it’s because they are Black.